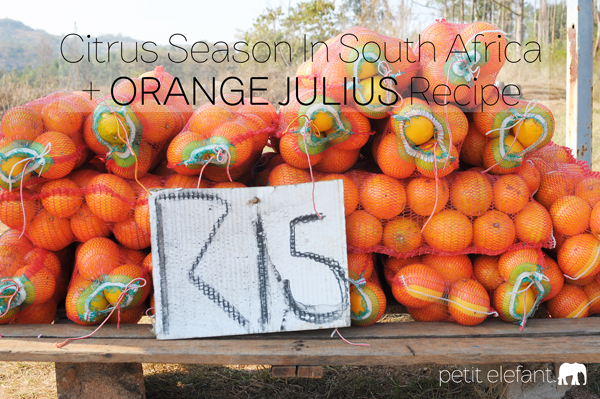 It’s Winter in the Southern hemisphere which means citrus season in South Africa. 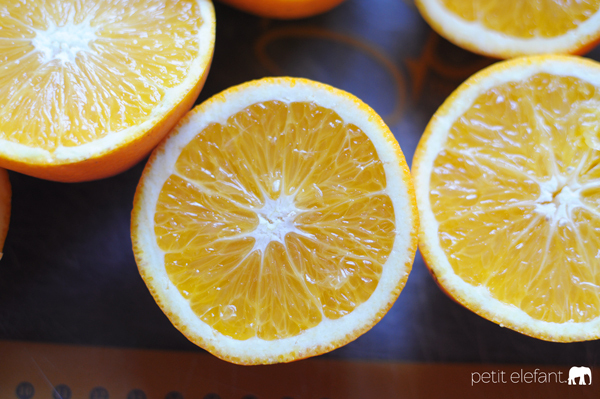 Lemons and oranges are a plenty, and it’s wonderful. If I need lemon juice, I just go outside and pick some lemons off the tree. I don’t have an orange tree, but no worries. 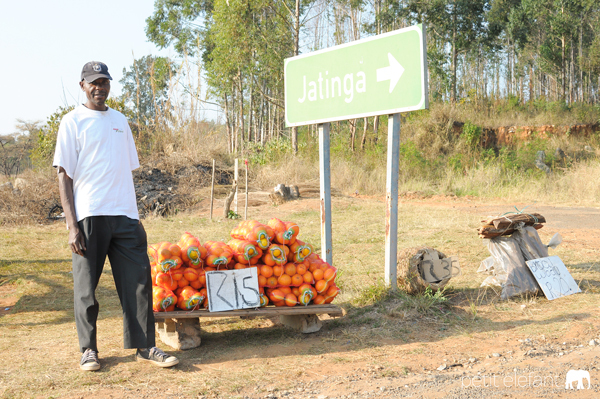 The side of the road is dotted with merchants selling bags of oranges for only R15. That’s comes out to only a little over $1. Every week I buy a bag, and every week we have freshly squeezed OJ for our weekend breakfasts. Goodness. All this citrus takes me back about thirty years. It’s funny how certain things invoke memories in you. My grandmother lived in North Dallas, and we would go and pay her a visit frequently. The best was when that visit also involved a trip to Northpark mall, perhaps because the adults in our company would be like a magnet drawn to its opposite as they strolled over for a treat at the best place ever, Orange Julius. I didn’t know what was in the frozen, citrus treat. All I knew at eight years old was that it was delectable, so delectable that it etched a memory in my heart. 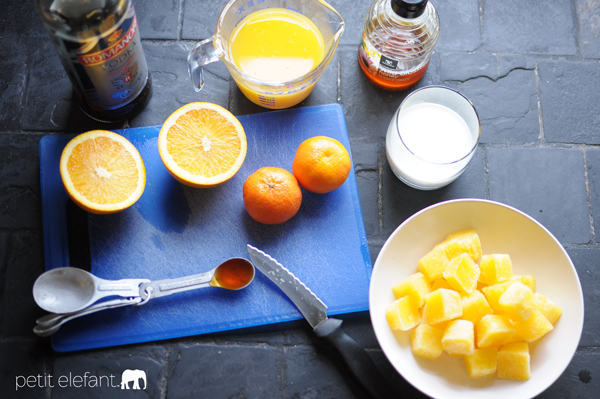 A couple of years ago, after buying a bag of oranges, that memory came up, and I set out to introduce the goodness of Orange Julius to my kids. They overwhelmingly approved, and think it’s now a necessary part of citrus season. I secretly concur. You will, too, after you try it. Get ready. It will change your life. 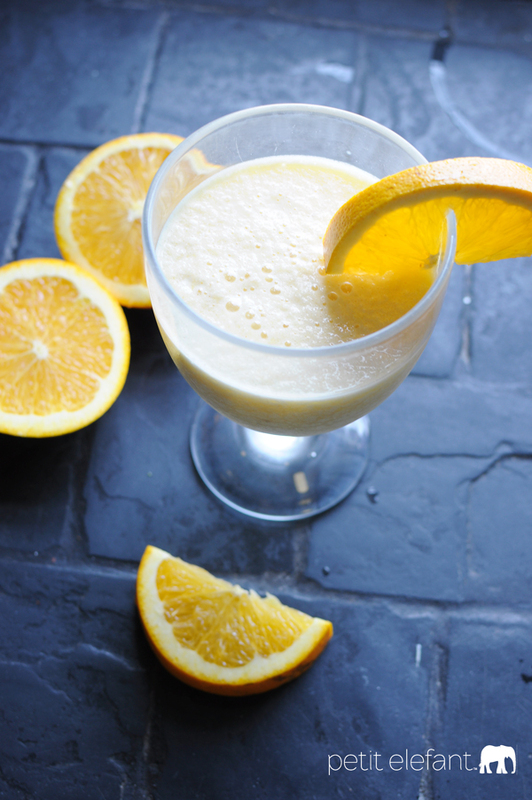 Orange Julius is a frozen treat that will blow your mind! It's a light citrus drink that is overwhelmingly refreshing. Do you remember when Orange Julius employee would ask you if you wanted an egg in it? Ewww. Looking forward to trying your recipe and having memories come flooding back. Jenny, I don’t remember the egg things. But yes, ewww!! I’m sure that was early to mid 1980’s. :) Those were the days…ignorance = bliss!